It’s a good time to be a nerd or a geek in today’s world. Back in the day, it was preferred to keep nerd stuff on the down low; but now, you can publicly profess your enjoyment for a game like M:tG and expect to win a 2005 Mustang as a prize. If you’re one of the nerds and would like to celebrate your birthday in a manner that befits a person of geek culture, it would help to know what your options are. 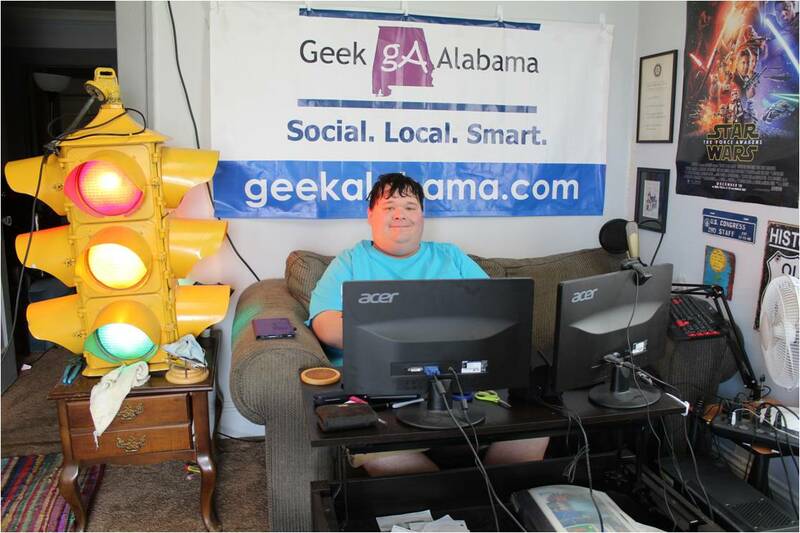 So that being said, what sort of geeky birthday parties or celebrations can you have in Alabama? Beyond being the birth state of nerd queen Felicia Day, Alabama has enjoyed a relative boom in the number of nerd events and anime conventions in recent years. What better way to spend a birthday than dressed as your favorite character and surrounded by others that enjoy the same things? You will have several to choose from like Magic City Con that focuses on pop culture, cosplay, and gaming. There’s Con Kraterorous for the Doctor Who fans. Each con has a lot of activities that you can incorporate into the celebration of the birthday and fit it to the preference of the celebrant. Alabama is the home of several establishments which cater to those that have video games deeply entrenched in their hearts. A good example of these is ToyBox Bistro and Pints and Pixels in Huntsville, AL. Pints and Pixels is the go-to locale for people looking to play a round of (or several) classic pinball machines and arcade finds. Think of the arcade in Wreck-It Ralph—it’s precisely like that except you get to drink adult beverages and even rent out the place for your party needs. Nestled in Huntsville is the U.S. Space and Rocket Center, a prime location for a birthday trip. Not only does this place offer the opportunity to learn more about the history of rockets and space flights but it gives any astronaut-at-heart a chance to try out simulations. If you have time, you can check out the planetarium and lose yourself in the display of lights and exploration of the galaxy and the universe. If going out of your way to find a nerdy location is not your cup of tea, then throwing your own nerdy bash is the remedy. You can choose whichever theme you’d like that fuels your geeky heart and have the decor, food, and activities to match it. For example, Alabama has a lot of nerdy history to tap into like a civil war reenactment of the 1st Regiment Alabama Cavalry. You can get your guests to come in their best civil war garb or even add modern twists like a dash of cross-play elements. A private party gives you complete control and a more relaxed environment as you don’t have to worry about time constraints and additional fees. So you and your guests can just sit back and immerse yourselves in the culture of the theme you’ve chosen. At the end of the day, a nerdy birthday is what you want it to be. Don’t let yourself be constrained by what others may consider as nerdy or not. Just let yourself enjoy the celebration and get your geek on.